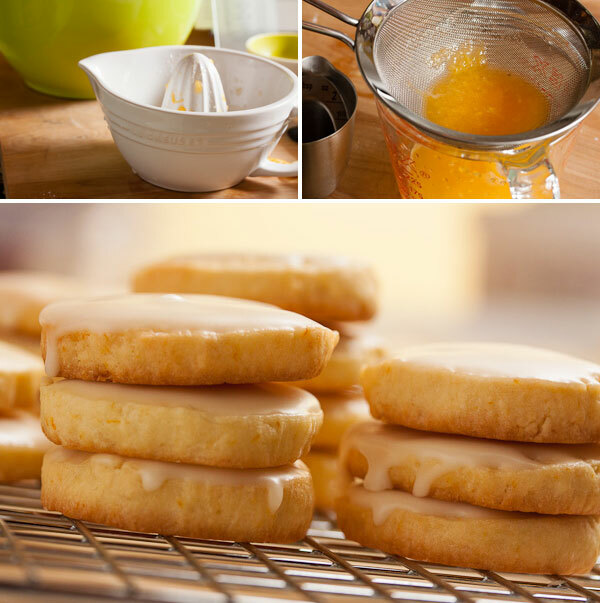 Glazed Orange Cookies | wanna come with? If you ask me my favourite food, I’ll answer “chocolate”. No question. No hesitation. 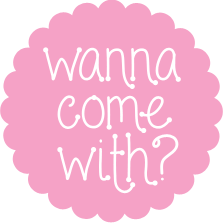 However, if you offer me a choice between, say, a brownie and a lemon tart? 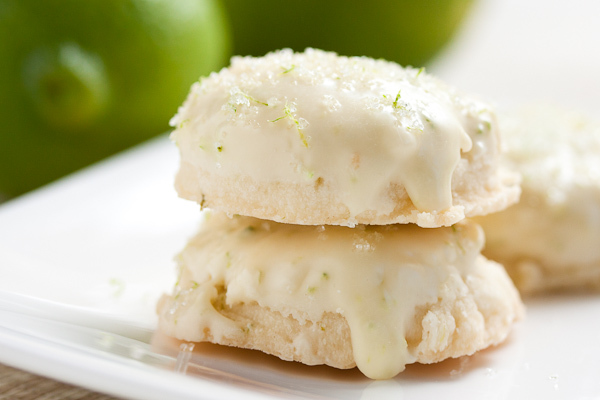 Mmmmmm… lemon might just win that match. I love the sweet tartness of lemon in baked goods. When I was browsing my cookbooks, looking for a new recipe I wanted to try, this one caught my eye. 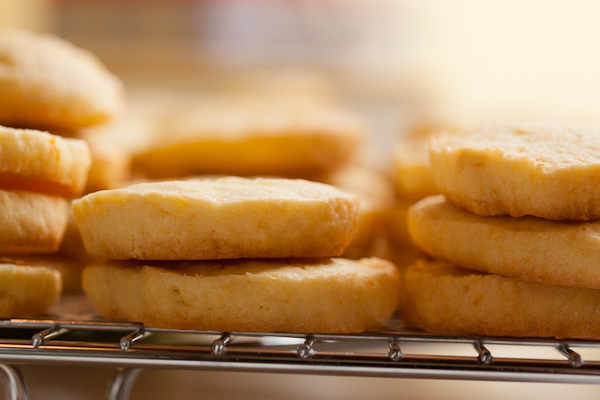 While technically they’re called “Orange Cookies”, there’s a healthy dose of lemon in there too. And hey, I just happened to have both an orange and some lemons already in my fridge! Sold. This is actually the first recipe I’ve tried from this book, even though I’ve had it on my shelf for months. One Sweet Cookie by Tracey Zabar. I love the idea of this book. It’s a collection of favourite cookie recipes from various chefs and pastry chefs, including the likes of Dorie Greenspan and Thomas Keller. This particular recipe is from Lidia Bastianich. I wanted to make a lot of little cookies, so I made my roll closer to 1” diameter. I feel like I’m missing some trick when it comes to rolling out dough logs. Whenever I see them in photos, they’re perfectly neat. Mine? Lumpy and with weird grooves down the side. I even tried the paper towel roll trick. Oh well. Don’t the unbaked slices look like banana here? The unglazed cookies have a delicate, not-too-sweet citrusy flavour, and a slightly crumbly texture (I had to test a few, right?). You can definitely taste the lemon. 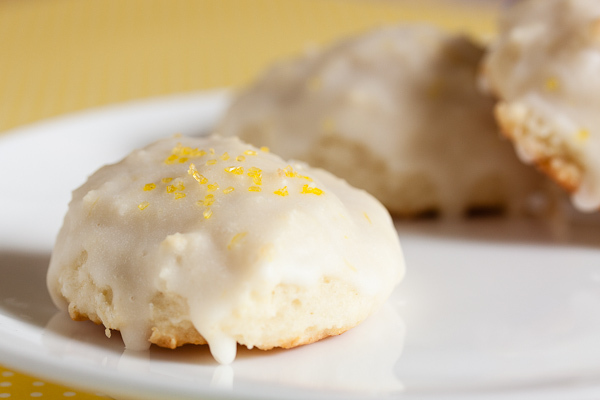 The glaze adds quite a bit of sweetness and more citrus flavour, but now the orange in the glaze definitely overpowers the lemon of the cookie. I’m not complaining though. Based on this cookie? I’m really looking forward to trying more recipes from this book. They were very popular with my coworkers. I brought them in on Monday and they were all gone by mid-day Tuesday. This was the first official “Cookie of the Week”. I only told a few people that I’m planning on this being a regular thing, and am counting on them to pass it on. 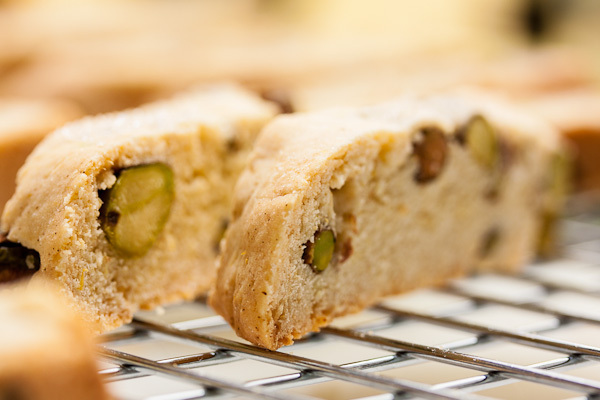 Adapted from Tracey Zabar's One Sweet Cookie, recipe by Lidia Bastianich. The original recipe called for the orange zest to be added towards the end with the juices, but I always find the zest tends to clump together when it’s added this way. I learned from Dorie Greenspan’s books to work the zest in with the dry sugar before creaming with the butter. The sugar helps to break up the zest so it doesn’t clump, and the citrus oils blend with the sugar to more evenly distribute the flavour. Combine flour, baking powder and salt in a bowl and whisk well. In the bowl of a stand mixer, add the orange zest to the sugar and mix in well – preferably with your fingers – until the zest is broken up. With a paddle attachment, cream the butter and sugar on medium speed until light and fluffy, about 2 minutes. Add the eggs one at a time, mixing well after each addition. Add the vanilla, orange and lemon juices. Beat to combine. With the mixer off, add the flour mixture. Gently mix on low speed until just combined (cover the mixer with a tea towel to minimize the mess). 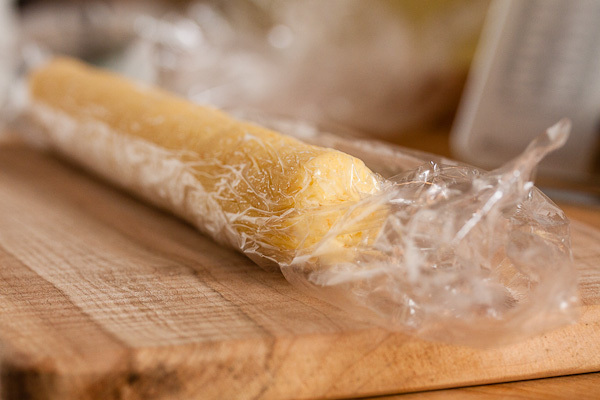 Wrap the dough in plastic wrap and refrigerate for about one hour. Divide the dough into 4 pieces and roll each into a log approximately 1-1/4” diameter (about 12” long). Wrap each log in plastic wrap and refrigerate or freeze until firm enough to slice without losing their shape (I kept mine in the fridge overnight, just because I had planned to do the baking the following day). Preheat oven to 350°F. Slice logs into approximately 1/2” rounds (I sliced mine a bit thinner than this) and place on cookie sheets, about 2” apart. The cookies will spread a bit as they bake. 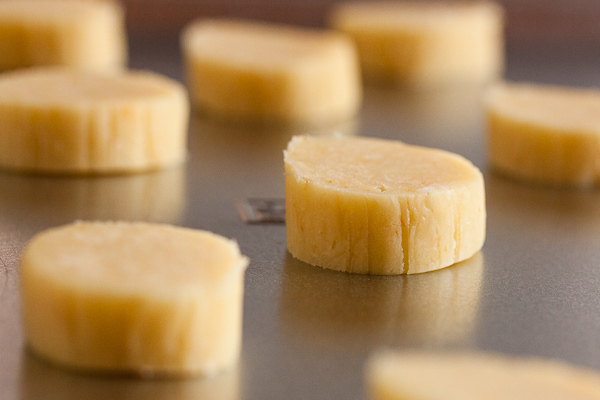 Bake for about 15 minutes, or until cookies begin to get a golden colour. Allow to cool completely on wire racks before glazing. Sift the confectioner’s sugar into a bowl to remove any lumps. Gradually add the orange juice and whisk well until the glaze is a good consistency for dipping. If the glaze is too thick, add a bit more juice. 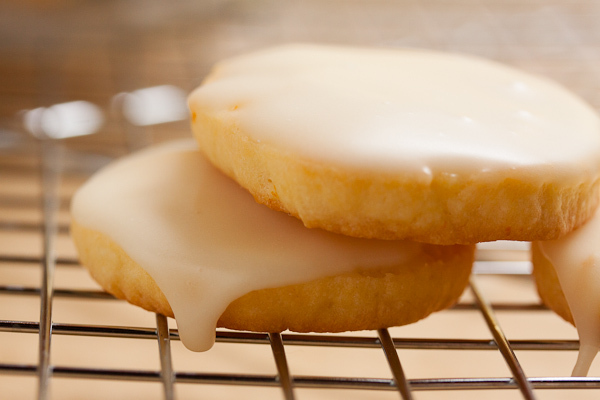 Dip the top of each cookie into the glaze and allow to dry on wire racks until the glaze has hardened. Great recipe! Thank you. Just what I was looking for. Not candy – recipe ready orange peel. Just to add – candid peel freezes wonderfully. I drain the syrup, not very exactly, place the candied peel in ziploc bags, squeeze out as much air as possible, and freeze. Holds excellently! From winter to winter. Thanks Maia. And thanks so much for the tip about freezing – I didn’t know that!